Simply Mint by Salty Fog has balanced flavoring of sweet mint leaves and creates an all-around balanced vape. Note: This product is not meant for use in devices that reach sub-ohm resistance (i.e.<1.0ohm coil). We recommend this liquid to be used in pod-based, closed systems devices, and low-output atomizers/mods. Simply Mint by Salty Fog is a special collection by Cosmic Fog, with flavoring of sweet mint leaves to create an all-around balanced vape. Note: This product is not meant for use in devices that reach sub-ohm resistance (i.e.<1.0ohm coil). 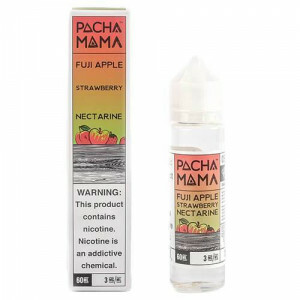 We recommend this liquid to be used in pod-based, closed systems devices, and low-output atomizers/mods.